Organize your text size: Text size tends to assist in conveying the message. Allo provides the user with the option to alter the size of the text in a chat on the fly. You could just slide the send up or down in order to increase or reduce the size of the text in a message. Hola Allo, find me flights: Allo seems to be much more than only a chat app and has four kinds of chats such as one to one, group chat, Chat with Google Assistant and Incognito chat. If one seems to be chatting with Google Assistant, you could ask the AI to display the plane tickets, hotel availability and much more. It portrays the Google search result. Allo Sets reminders: The AI in the app also tends to set reminders and alarms for the user. You could go to Google Assistant in the app and ask for setting the alarm which it tends to do. Play games: In Allo one could also play games. For instance, the chat game is said to be one of the interesting ones wherein in this game you could opt for the game type and the AI would play that game with you. Search for restaurants: The AI chat assistant tends to utilise one’s location and suggests accordingly the restaurants which are in the vicinity. The users can view the restaurants by clicking on Google map. 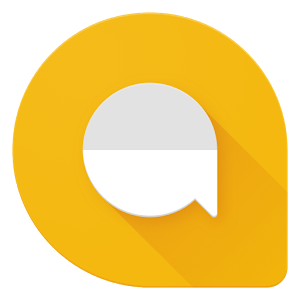 Incognito chats: Similar to WhatsApp, Google Allo also tends to assure safe and encrypted chats though it is only likely in Incognito mode.The Incognito Mode tends to ensure that chats are encrypted once toggled. Group chats: Like WhatsApp, one also has the possibility of creating groups in the app with options of deleting, adding people or mute group. Read message seem to have double ticks similar to the way how they are there in WhatsApp. Moreover you could also long press on a message and view details like the precise time it had been delivered and read.